John F. Bare, 76, of New London, a beloved husband, father, grandfather, great-grandfather and beloved friend, passed away after a courageous battle with pancreatic cancer on Feb. 2. He was born in 1938 to Fidel and Belle Bare, in Jefferson, N.C. After his discharge from the U.S. Army in 1958, where he served with the 82nd Airborne Division, he and his wife, Marguerite (Margo) Sheets arrived in Kelton, looking for work. In 1965, he and his family moved to New London, where he spent the rest of his life. He owned and operated NLS Systems, Inc., and West Grove Mini Storage and Jennersville Self Storage. John leaves behind his beloved wife of 57 years; his daughter, Kimra G. Snyder of Peach Bottom; his son, Stephen J. Bare of New London; his beloved granddaughters, Sarah Bare, Karrah, Kayla, and Kristi Snyder; his great-grandson, Ryan A. Williamson; his sister, Leanna and brother-in-law, Charles (Buddy) Harlan and her family of Nottingham. He leaves behind many relatives and friends. He has joined his beloved grandson, Stephen John (John-John) Bare, and many more relatives and friends. A viewing was held Feb. 5, and a funeral was held Feb. 6. Interment was in New London Presbyterian Church Cemetery. In lieu of flowers, the family requests donations be made to the Stephen John Bare Scholarship Foundation, c/o Fulton Bank, West Grove Bank, PA; to Pancreatic Cancer @ http://purplestride.kintera.org/Delaware/poppyspurplefighters; or Willow Tree Hospice, 616 E Cypress St., Kennett Square, PA 19348. 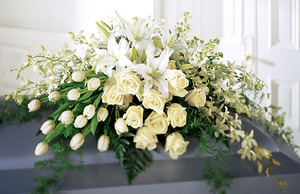 Online condolences may be made at www.elcollinsfuneralhome.com. Paul E. Rusek, Jr., of Kennett Square, passed away on Jan. 31 at his home, surrounded by his family. He was the husband of Sarah Elise Dixon Rusek, with whom he shared 48 years of marriage. Born in Springfield, Mass., he was the son of the late Paul Edward and the late Emily (Nowak) Rusek. He earned his college degree at the University of Massachusetts, his Ph.D. in chemistry at Yeshiva University in New York, and completed a postdoctoral fellowship from the University of Utah. He was an account manager for marketing at the DuPont Company, retiring in 2007. His greatest joy in life was spending time with his family. In his early years, he loved attending any and all sporting and music events for his son and daughter. In recent years, he simply loved being a grandparent, spending time with his grandchildren -- planting gardens, driving them around on his John Deere and having water fights. He was called "Dziadziu," Polish for Grandfather, by friends and family alike. He enjoyed golf and skiing, along with collecting coins, and all manner of trains. Survivors include, in addition to his wife, one son, Paul III and his wife Julie of Jacksonville, Fla.; one daughter, Emily Ondik and her husband Michael of Newtown, Pa.; one brother, Robert and his wife Joan of Basking Ridge, N.J.; and three grandchildren, Ava Elise, Maxwell Paul, and Sage Emily. A funeral was held Feb. 7. Contributions in his memory may be made to Community Volunteers in Medicine, 300B Lawrence Drive, West Chester, PA, 19380; or to Safe Harbor of Chester County, 20 North Matlack Street, West Chester, PA 19380. To view his online tribute and to share a memory with his family, visit　www.griecocares.com. Kathy Mae Smith, 56, of Nottingham, passed away on Feb. 2 at Jennersville Regional Hospital in West Grove. Born in Greenville, Tenn., she was the daughter of Jason Berry and the late Marie Berry. She was a graduate of Chuckey-Doak High School, class of 1977, in Afton, Tenn. She was an avid Philadelphia sports fan, and loved her grandson and dog Moses. She is survived by her father; one son, Jonathan R. Smith and his wife Bobbi Sue of Oxford; one grandson, Cole M. Smith; companion and friend, Johnny P. Van Sant; one brother, Ricky Berry of Tennessee; and one sister, Carol Walker of Cochranville. A memorial service was held Feb. 7. Online condolences may be made at www.elcollinsfuneralhome.com. Robert K. Shuttleworth, 73, of Unionville, passed away on Feb. 8 at Neighborhood Hospice in West Chester. He was the husband of Karen Ross Shuttleworth, with whom he shared 52 years of marriage. Born in Philadelphia, he was the son of the late Kline and Julia Lozinak Shuttleworth. He was an engineer at the Boeing Company for 33 years, retiring in 1996. He was a member of the Brandywine River Museum, Chadds Ford Historical Society and the Boeing Management Association. He enjoyed golfing, outdoor activities, traveling and woodcarving. In addition to his wife, he is survived by one son, John Kline Shuttleworth of Pittsford, N.Y.; one daughter, Kathryn Elizabeth McDermott and her husband John of Collegeville, Pa.; and four grandchildren. A visitation with family and friends will be held from 9:30 to 10:30 a.m. on Feb. 13 at the Kuzo & Grieco Funeral Home (250 W. State St., Kennett Square). His funeral mass will follow at　11 a.m. at St. Patrick’s Church (212 Meredith St., Kennett Square). Burial will be in the Longwood Cemetery. In lieu of flowers, a contribution may be made to the Brandywine Conservancy & Museum of　Art, Development Office, P.O. Box 141, Chadds Ford, PA 19317. Online condolences may be made by visiting www.griecocares.com.